Well, I’m glad you asked. My interest in Daniel Read (D.R.) Anthony began about 20 years ago with scattered hints in Susan’s biography, letters, and diaries. In 1992 I began working as a docent at Susan’s home in Rochester. My intense reading during that period culminated in the publication of the first edition of Susan B. Anthony And Justice For All. (That book was just revised–see the beautiful new Centennial Edition here.) 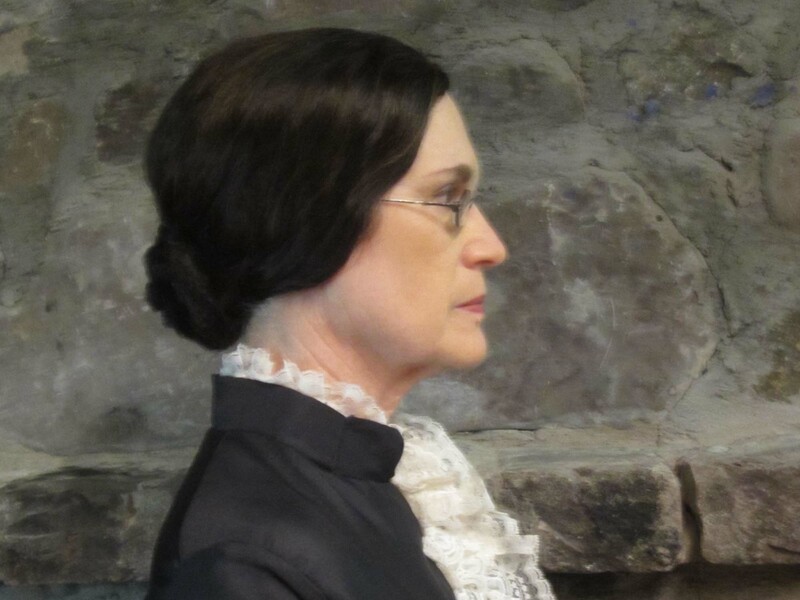 After discovering that I resembled Susan physically in many ways, I began to portray her in costume (see below). During the next 15 years, I needed to keep my performances fresh. The best way to do that was to immerse myself periodically in whatever new Anthony material I could get my hands on. That led to such wonderful resources as the work of Ann Gordon and the Susan B. Anthony collection at the University of Rochester Rare Books Division, as well as the Susan B. Anthony Birthplace Museum in Adams, Massachusetts. Every now and then, I came across a tantalizing reference to Susan’s brother Daniel Read (D.R.) Anthony, whom she seemed to admire. he named one of his daughters after her. The part about the gunshot wound seemed to sound a discordant note. After all, Susan and her siblings were raised as peace-loving Quakers. How did Daniel get shot, and why? Later, I discovered that his wife Annie was 20 years younger than he. Before their marriage, he lived in Kansas and she lived in Martha’s Vineyard, some 1,500 miles apart. How did they meet? How did she like Kansas? And most important, how was she affected by the events before and after his gunshot? My curiosity was piqued, and research during 2012-2016 answered many of my questions. Some facts, however, never surfaced, leaving fertile ground for a historical novel, The Truth About Daniel. 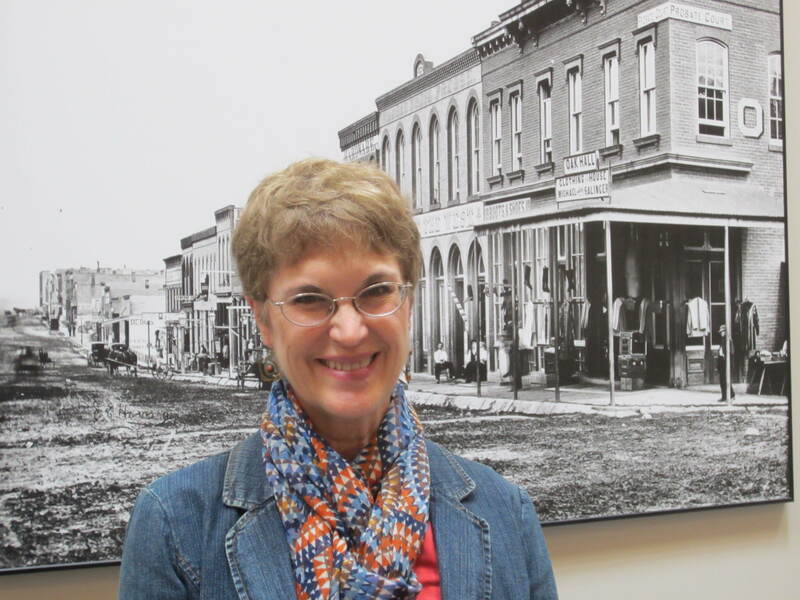 Top author photo taken in Leavenworth, KS in 2014. This entry was posted in Daniel Read Anthony, Jeanne Gehret, Quakers, Susan B. Anthony, Susan B. Anthony And Justice For All and tagged Daniel Read Anthony, Jeanne Gehret, Susan B. Anthony, Susan B. Anthony And Justice For All by Jeanne. Bookmark the permalink.